Carprodyl Quadri 50mg Tablets effectively control the symptoms of musculo-skeletal inflammation in dogs. Carprodyl Quadri Tablets - 50mg is a Prescription Only Veterinary Medicine and by law requires a prescription from your vet. Carprodyl Quadri 50mg Tablets effectively control the symptoms of musculo-skeletal inflammation in dogs. These conditions such as degenerative joint disease (or commonly referred to as Osteoarthritis), are a progressive, long-term deterioration of the cartilage surrounding joints. Dogs suffering from Osteoarthritis often experience stiffness and pain, which usually results in a reduction of activity and a general decline in overall demeanour. Carprodyl Quadri is a non-steroidal anti-inflammatory drug (NSAID) that attempts to reduce these negative symptoms of Osteoarthritis by controlling pain and inflammation. When given as directed by your vet, the active ingredient, Carprofen, produces anti-inflammatory and analgesic effects by affecting the production of tissue relaxing hormones. These properties also enable Carprodyl Quadri Tablets to be used in the effective management of post- orthopaedic surgery pain in dogs. Carprodyl Quadri Tablets come in easy break chewable tablets for simple dosing. 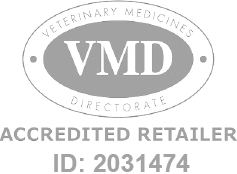 Manufactured by Ceva Animal Health and developed specifically for dogs. As such, they must never be used in other animals.